Elgood’s is holding it’s latest Plant & Craft Fair on Sunday 3rd September 2017. 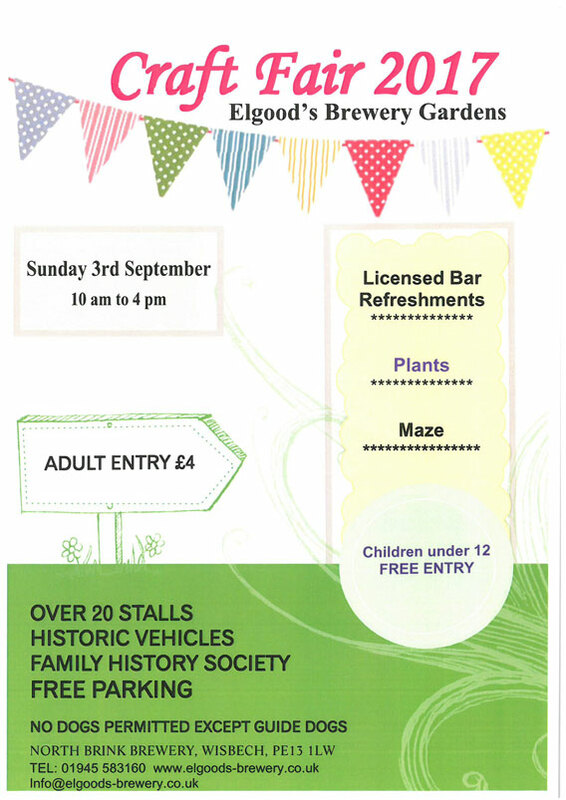 With over 20 stalls, historic vehicles, Family history society and of course a fully licensed bar with refreshments there is something for everyone. Please pop along to see us. Entry £4, children under 12 free.